How many remember this childhood activity? I remember how exciting it was the first summer night every year when the little flashes of light would start. Your heart would race and then you’d run inside to get a mason jar and lid. Of course you made sure to poke holes in the top. Then you’d run outside and chase the bugs until your parents called you in. Back then we didn’t think about dangers like snakes underfoot in the dark or running into a tree in the dark. It was just pure country fun. I always remember fondly those times. The air would be cooler after the warm days. The grass would be cool under our bare feet as my brother and I would run all over the yard chase that yellow flashing gold. Once they were caught we’d thrust them into the jar and quickly close the lid so they didn’t escape. Our parents would call us in to wash off the lightning bug stink from our hands and place our jars that glowed with the beautiful bugs on our nightstands for nightlights. Summer holds so many memories for me. My grandfather had a huge garden that the family worked together. I remember running through the corn stalks that looked like they reached the sky. Then collapsing in the freshly tilled dirt and running our fingers through the warm rich soil. Yes, I stayed dirty as a child in the summer. We were country children and dirt was just part of the fun. When the corn was pulled we’d help with the canning. There’s nothing like the smell of fresh corn being cut from the cob on a cool summer morning. It’s crazy the scents that bring back those memories. If I smell rain in the air it reminds me of watching the rain fall on the freshly tilled ground. I remember my granddaddy hoping for lightning to add nitrogen to the soil. I always thought that was crazy because I never liked lightning. He’d point out that it was important to the soil, but still it eluded me. Then there’s the traumatic parts of farming. My grandfather decided to raise rabbits. My brother and I thought this was so cool. We each got one of our own to name and help feed. We wondered why he kept telling us not to make them pets. Well, soon we found out why, yep, they were made into stew. That was traumatic for a young child, but he did warn us. He believed in living off the land and that’s what he did. I attribute my love of tomatos to my grandfather’s farm. I’d wait for the cherry tomatoes to mature and then sneak out to the plants and clean the plant of it’s ripe red heaven. My grandfather would get so angry with me, but then he’d smile and ask if they were sweet enough. Do you have warm childhood memories? I’d love to hear about them. If you do, make sure your children have a chance for the same memories. I taught my son about lightning bugs and he loves to garden. He actually planted our garden for the last couple of years. Oh yeah, I always plant cherry tomatoes and I’m constantly walking out and picking them while they’re still warm from the sun. Categories: Uncategorized | Tags: Childhood memories, Farming, Gardening, memories, Rabbits, Scents, Summer | Permalink. Well it’s here – Ghost Lover is officially 1! Can you believe it? I can’t. 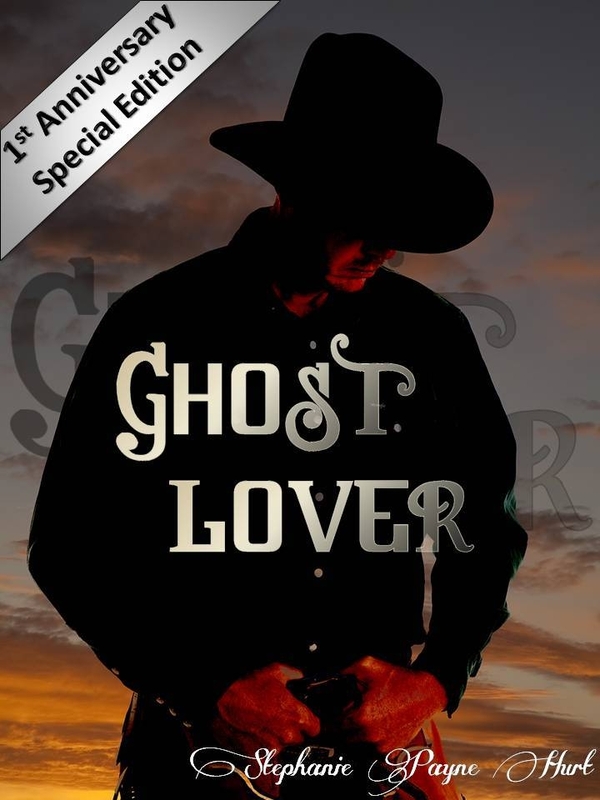 My first published novel, “Ghost Lover” is one today. It’s hard to fathom that I’ve been publishing books for a solid year. It’s been a fantastic ride. Ghost Lover was in the works for a long time before it was published. I used snippets from my past and creativity from my brain (that’s scary). It was a work of love and excitement. When I finished this book I was satisfied, but the satisfaction came when the first book sold and the first great review came through. Through my publishing I’ve met some really extraordinary people from all over the world. I can’t tell you how much fun it’s been blogging, tweeting and emailing with all of you. Some of you have become great friends and I’ll treasure those friendships for a lifetime. My writing has taken me to many corners of the earth and that was without leaving my little corner in Georgia. I’ve had friends ask me if I’m fulfilled with my writing and I can honestly say, YES!!! I had a former male companion ask me one day if I used anything from our relationship in the books. I just smiled and winked telling him I’d never tell my secrets. If he’d read the books he’d know he never showed up. I’m sure the person or people who inspired some of the characters will recognize themselves if they read it. As for the cowboy on the front cover, no I don’t know him as some have speculated. He’s from a purchased photo at BigStock. My husband often asks about the inspiration for some of the parts of the books and then he waves both hands frantically and says “Don’t tell me and I’ll be none the wiser.” By the way he’s never read one of my books. He says he’s too afraid he’ll see himself. I assured him that most of my writing is purely fiction with only some parts from my past. Since he knows the ghosts from my past he would recognize easily where they are and who or what inspired them. I try to keep the mystery alive. As for Ghost Lover, it’s been reborn and revised. Don’t worry, I didn’t change the story, but I did do some editing. Throughout the last year of writing and publishing I’ve listened to my readers and changed some of my styles. When I read the book again for the revision I sat with a tissue box and enjoyed every minute. It brought back the ghosts that haunt me and why I wrote this book. It’s available as of this morning on Amazon & Smashwords. It’ll be available on Allromanceebooks.com and Barnes & Noble in the next week. Also on Kobo, SOny, Apple and Diesel. So go check it out and let me know what you think. I’d really love to hear some feedback. Categories: Uncategorized | Tags: Anniversary, Authors, Ghost Lover, memories, Official, Stephanie Payne Hurt, Writing | Permalink.